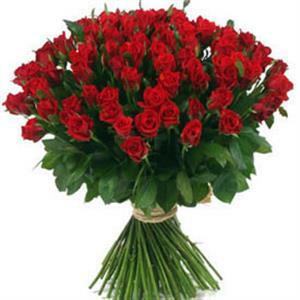 Send 50 Enchanting Red Roses Bunch to Chennai. Gifts to Chennai. Send Flowers to Chennai. Description : Send these 50 Red Roses bunch to your loved one and express your precious emotions. A gorgeous bunch of 50 red roses hand tied beautifully will make the perfect gift for your loved ones in Chennai.